This seder will be led by Rabbi Aaron Fine with student help. This traditional and accessible seder will be full of conversation, singing and good food! ​This fun creative seder will be led by Hillel Staff Miriam Cantor-Stone and Annie Fortnow. 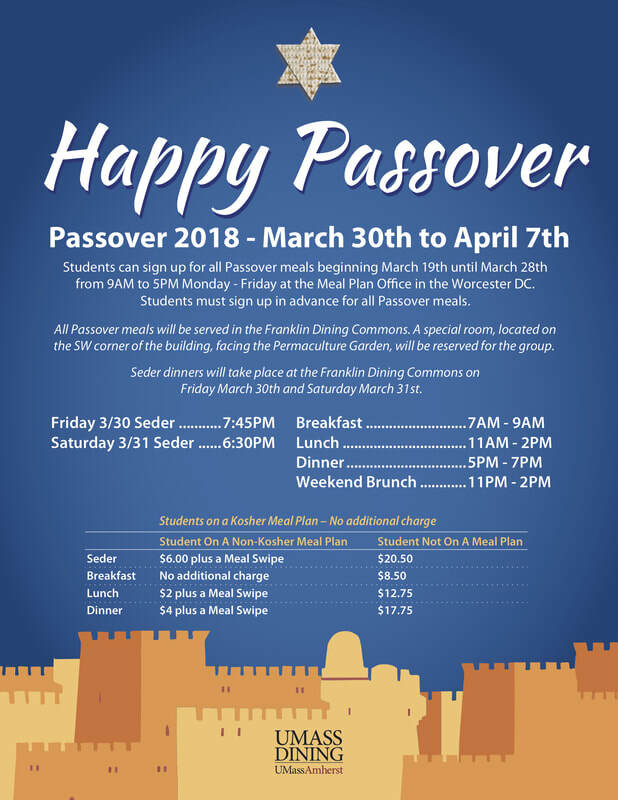 Pre-registration is required for all seders and meals. Sign up at the Meal Plan Office in the Worcester DC or by calling Brandy Sullivan at 413-545-5380. For more info on Orthodox seders, contact Raffi, our JLIC Educator.